MainAll NewsJewish WorldDid Birthright give in to terrorism? Did Birthright give in to terrorism? Taglit-Birthright orders participants to stay away from south during tense period of arson and rocket attacks. 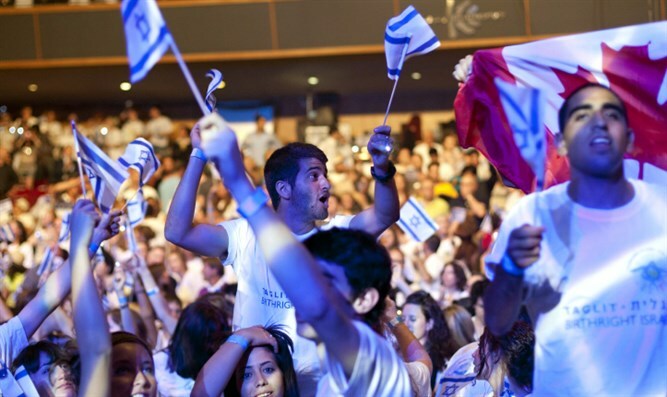 The Taglit-Birthright Israel project, which brings thousands of young Diaspora Jews to Israel each year, forbade its participants from traveling to the Negev in light of the continuing arson attacks from Gaza terrorists and the recent wave of rocket attacks, the Walla news site reported. "These are the borders of the sector in the south of the country: there is no permit to cross Route 7 south of Gedera and Ashdod, there is no permission to cross Route 40 on the section between the Gedera Junction and Tlalim Junction," Birthright announced on its website. Taglit-Birthright Israel said in response: "The safety and well-being of Taglit-Birthright Israel participants is of paramount importance to us, and the constant monitoring of the situation allows us to maintain a particularly high safety standard, which is sometimes even more stringent than the directives of the Israeli security authorities." "The daily tours are approved by the Situation Room, run by the Ministry of Education and in cooperation with the IDF, the Israel Police and the Ministry of Public Security, while minor changes apply according to the security situation. Taglit has a well-known reputation for meticulous care and security, an image that we gained in 18 years of activity in which we hosted 650,000 participants without security issues."